Pokémon has always been a huge franchise for Nintendo (TYO:7974). Even when others haven’t been performing to the standards expected, the franchise has been a huge seller for the company. Particularly noticeable, and a direct point, is the blockbuster sales of Pokémon Sun and Moon. The 14.69 million units sold from its release in November has also been joined with increased sales in older Pokémon titles, partly attributed to the massive launch of Pokémon Go for mobile devices. Other software sales, which includes the popular launch of Super Mario Run, saw the profits of Nintendo’s mobile related activities double in the nine months leading to December 2016 compared to those of the nine months leading to December 2015. This runs contrary to a significant drop in sales from the same time last year, reduced to ¥311bn from ¥425bn. However, the cost of sales has been significantly reduced and the exchange rate is more favourable. This has given Nintendo a third quarter profit of ¥64.7bn in the three months ending December 2016. The result of this is a much improved forecast for the financial year, predicting income to now reach around ¥90bn for the financial year, notably due to favourable exchange rates as sales predictions have neither increased nor decreased. It’s fairly common knowledge that Nintendo’s latest home console, the Wii U, was little more than a failure. Though still being sold, the figures revealed by Nintendo show that the rapidly declining system has continued its trend; in the nine months beginning April 2016, Nintendo aimed to ship 0.8 million consoles and managed to sell 0.76 million, a 75% year on year decrease. Software sales on the system have also seen similar decreases, a 45% year on year decrease, having sold 12.48 million units. These falling fortunes were countered by the portable consoles. The Nintendo 3DS is the flagship product of the company, having sold 6.45 million units (10% year on year increase) and with software sales of 46.78 million units (20% year on year increase). Nintendo have attributed part of this increase due to the aforementioned success of Pokémon Go and the ability it had to draw people across to the core series. What has to be watched for anybody interested in the company is the release of the upcoming Nintendo Switch, potentially the last home console outing of the company after the failure that was the Wii U. The core problem they’ll find is that the exact same issues that the Switch also seems to suffer from the same issues that effectively cost the Wii U any chance of success. The launch lineup is abysmally small by any standard. Only two pieces of first party software will launch with the console, with one being a collection of party games (1-2-Switch). There will be a collection of downloadable, smaller, titles, but the lack of any huge titles bar Legend of Zelda: Breath of the Wild could cause large issues. Combined with the fairly large launch price of the console (£280/$300) and the recently revealed fact that the console will require a subscription for online play. These issues could prove a fairly large setback for the console, with the lack of titles being the major issue. 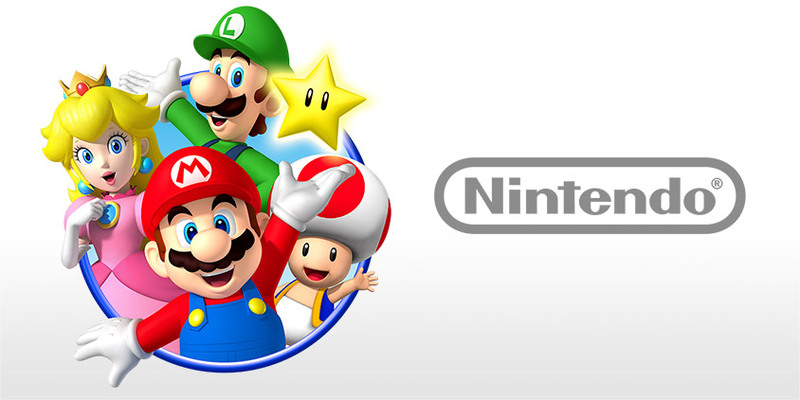 With the mobile market being as large as it is, it’s to be expected that Nintendo branch out further. Following the release of Pokémon Go on iOS and Android and Super Mario Run on iOS, early 2017 will show the android release of Super Mario Run as well as the release of Nintendo’s third mobile title; Fire Emblem Heroes. The high price point of Super Mario Run, avoiding the multiple smaller purchases, proved to be a stalling point for the title on iOS. Should it find increased sales and a large audience on Android, plus the release of Fire Emblem, the mobile market will likely provide a sizeable boon to the company. However, whatever happens, the focal point of Nintendo’s final quarter, as well as the next financial year, will be the Switch. Initial reports indicate a large number of preorders, with Nintendo indicating that they are aiming to increase production. Should the console sell well, with the reservations of a weak software lineup prove wrong, then Nintendo could see a strong 2017. Strong sales will also bring third party support from larger companies like Activision-Blizzard (NASDAQ:ATVI) and Electronic Arts (NASDAQ:EA), who announced they wouldn’t be developing for the Wii U early in its life.